We loved Narnia! I recommend the full day rental in order to get ready in the relaxed environment and be able to do a first look in the gorgeous grounds of the estate. Food was phenomenal. We did not go with their cake due to it being less tasty than another vendor but overall this place was great! 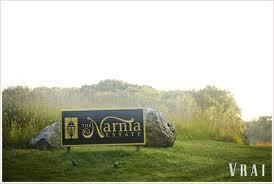 The Narnia Estate was the perfect place for the wedding. The food served was exceptional.